Well we’re now back in the UK, but the beauty we have here at home is just as spectacular as anywhere else. Aunty has recently found a list on-line “100 Things to do in Wales Before You Die” (http://www.walesonline.co.uk/lifestyle/fun-stuff/100-things-wales-before-you-6503970). Now we don’t intend to shuffle off the immortal coil yet, and for me there are still many more people I need to annoy before I go. 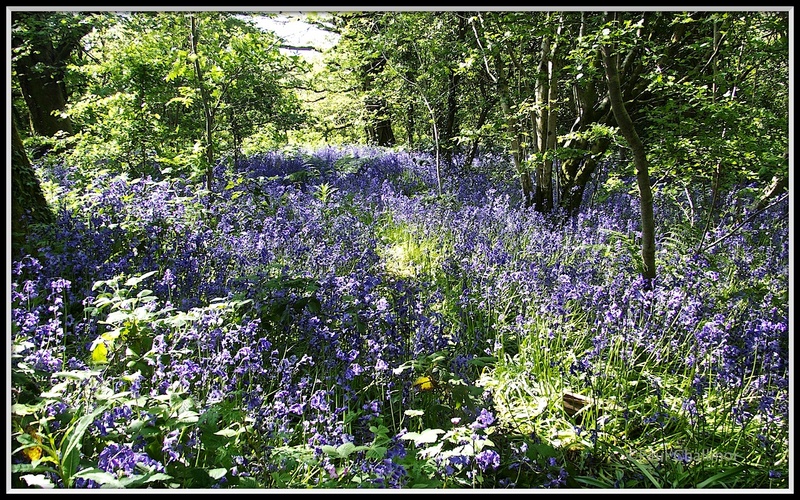 Despite all that we thought we’d start working our way through the list with a visit to a bluebell wood. Wenallt Wood is an ancient woodland on the edge of the escarpment overlooking Cardiff, and less than 2 miles from home. The sun was shining and off we went. I’d been here many years ago, but never returned despite that fact that I drive past it each time I go to the office. 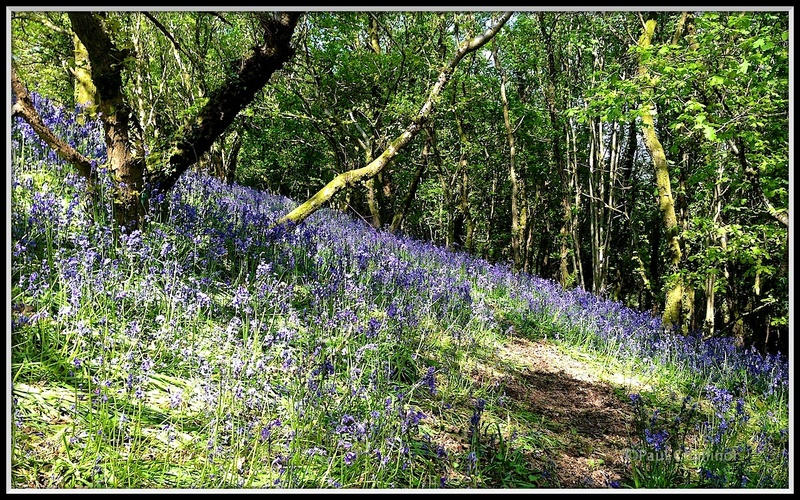 Although we were hoping for bluebells, we weren’t ready for just how many there were. Everywhere we looked there were drifts of blue under the tree canopy. The flowers were not quite at their best and had gone over a little by a couple of days, so next year we’ll be prepared and ready to catch them in their glory. But that didn’t prevent us from having a great wander about. 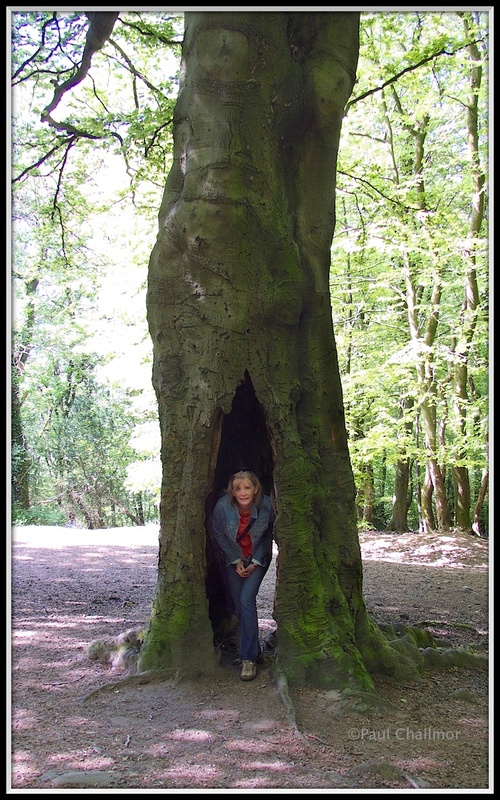 Being an ancient woodland there are some great trees here, from gnarly old oaks to majestic beech trees. Many covered in moss, some left to rot in place, providing a fantastic environment for further exploration. But today we were on the bluebell foray, but I did manage to poke about in other areas and I was kept on a short leash by the boss, but will have to leave that for another day. Not quite Robin Hood, but good enough! On the left is an old silver birch left to rot. The remaining wood was pockmarked with beetle holes. 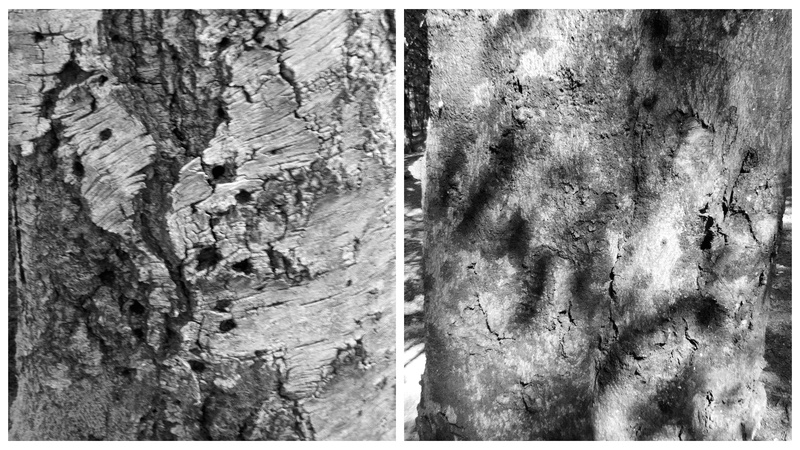 The beech on the right had some interesting shadows playing over the bark – though these didn’t really come out in the photo. For me I’ll be back again soon to poke around a lot more. Its always a surprise when you find gems like this so close to home.